Sarah Gentry is a Program Officer in Meridian International Center's GlobalConnect division, where she designs and manages international education programs. 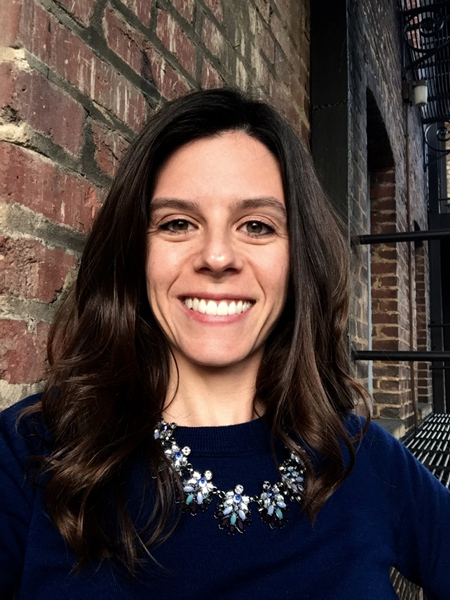 On the Young Leaders of the Americas Initiative (YLAI.state.gov) team, Sarah manages the YLAI Entrepreneurship Institute, monitoring and evaluation (M&E), Learning Management System, and Fellow application and selection. Prior to joining Meridian, Sarah administered and led M&E strategies for educational programs with the U.S. Department of Education, the U.S. Department of State, and private sector clients in Eastern Europe, the Middle East, Africa, Asia, and Latin America. From 2012 to 2015, she administered a professional development program with youth leaders from across Pakistan, as well as programs to promote higher education reform through curriculum development and technology advancement in Iraq and Kurdistan. Previously, at Georgetown University's School of Foreign Service, she supported educational programs in Latin America, such as academic and internship programs focused on conflict resolution, human rights, and democratic governance. As a Peace Corps Volunteer in Ecuador, Sarah focused on entrepreneurship, community banks, and early-childhood education in collaboration with educators, community leaders, and women's groups. Sarah has an MA in international education policy and a BA in economics, and speaks Spanish.